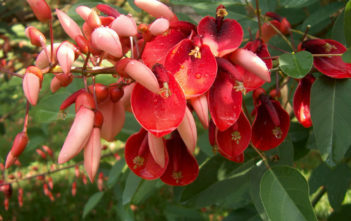 You are at:Home»Archive for "Erythrina"
Erythrina is a genus of flowering plants in the Pea family, Fabaceae. It contains about 130 species, which are distributed in tropical and subtropical regions worldwide. The generic name is derived from the Greek word “erythros”, meaning “red”, referring to the flower color of certain species. 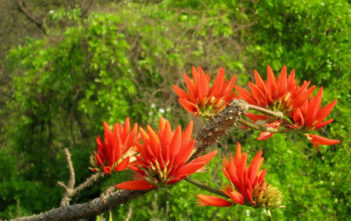 Particularly in horticulture, the name Coral Tree is used as a collective term for these plants.